The Future Skills Summit sponsored by the Institute for the Future was held on February 21-22nd this year to help education and workforce development innovators “get fit for what’s next.” The premise of this year’s summit is the idea of a “work + learn future,” to outmode our current “degree-before-work paradigm” which is not sufficiently serving the job market at large. One of the key contributors to the summit, and the overall theme of work and learn, is Innovate+Educate founder, Jamai Blivin. 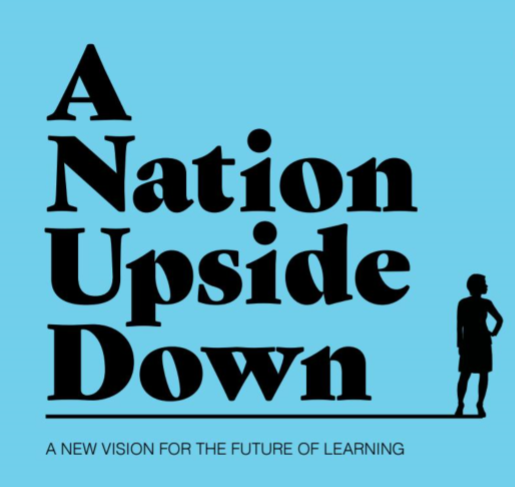 Blivin, in coordination with Dr. Merrilea Mayo and Dr. Parminder K. Jassal, co-wrote and published “A Nation Upside Down” report which was released at the summit. Focusing on the need to shift the job market to a skills-based hiring process, the report takes an in-depth look at the state of the job and education market today. Among the report’s key takeaways is the staggering lack of jobs available for those without a high school diploma that is resulting in 300% too many individuals compared to jobs.1 This statistic alone suggests a severe disconnect between the education attainment of many Americans and the amount of jobs available for their education levels. The emphasis on Bachelor’s degrees as a prerequisite for jobs not only hurts those seeking employment, but also employers. Four-year degrees are a huge investment of money and time, two things that many Americans do not have in excess at their disposal. More so, the report argues, that the job market is putting too large of an emphasis on the degree, and not necessarily the skills learned. This is evident in that those who have earned a degree make a significantly higher salary than those who almost have a degree.1 The report continues to say that, “It’s the degree label itself and not the learning underneath that is being used to make a hiring decision.” Thus emphasizing the importance of the summit’s premise of a working and learning future where employees are hired because of their skills, not just their degrees. One potential solution for a work and learn future: Apprenticeships. In “A Nation Upside Down,” the authors lament the fact that while a viable option for many to pursue successful careers, only 11 states encourage apprenticeships by offering some sort of incentive or tax break if a company invests in apprentices. With a major skills gap in the middle skill trades, apprenticeship programs can be a surefire way for people, of any age, to begin a successful career without having to commit to the often unattainable four or two year degree programs. Accordingly, while an investment, employers with apprenticeship programs would have access to skilled individuals to fill their positions. One of the points of view captured in the report, written by Penn Foster CEO Frank Britt, echoes the sentiment that employers are slowly beginning to challenge the idea of traditional academic credentials and are growing in support of workplace ready skills credentials like apprenticeships. This is not a notion just for incoming workers, but also for the incumbent employee who can benefit from skills development. Britt continues on to explain how distance based training is the fastest growing method of skills development. This approach largely coincides with the finding in “A Nation Upside Down,” which concluded with the remark that employers will have to, “through default if not desire,” develop new ways for credential based hiring and skills development to find the skilled labor they need.